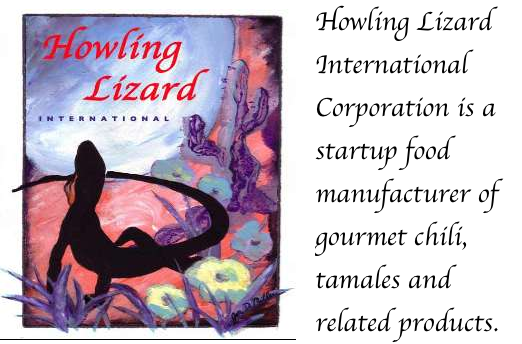 Welcome to the Howling Lizard web site. The idea of Howling Lizard came together for Jack Buie while attending a chili cookoff in Kissimmee, Florida. He realized that blue ribbon winning chilis are not offered commercially and he wanted to know why. After meetings with consultants and the USDA, the answers led to a new cooking process and a secret formula that passes USDA requirements and will set world taste buds on their ears.